We had pleasure with working with one of our favorite fashion photographer and one of the best fashion photographers in China Yin Chao or Super Yin Chao. 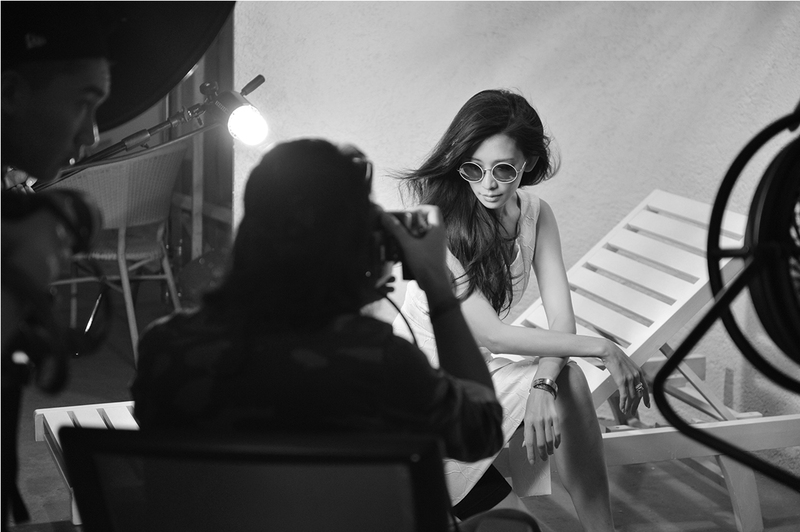 Together with our client-one of the leading eyewear brands in China, Helen Keller, we have developed the creative for the shoot, being inspirited by the spirit and the lifestyle of Santorini. Our art department worked closely with our art director in building 6 sets in our Beijing studio. Beautiful Lin Zhi Ling –Helen Keller’s brand’s face, was great to work with and made the shoot very easy. The retouching of the images was done by one of our favorite retouches- Tony Wan.